Congratulations, you’ve decided to climb Mount Kilimanjaro, and now you are wondering how to ensure you make it to the roof of Africa. To increase your likelihood of getting that coveted photo of yourself on top of Uhuru Peak, here are seven tips that can help you reach your goal! For the highest chance of success and the lowest risk of altitude sickness, choose a longer journey to the summit rather than a shorter one. When climbing Kilimanjaro, your chances of success increase significantly depending on the number of days you spend on the mountain. People who opt for an 8-day climb have the highest success rate, at 85%. This success rate decreases to 64% for 7-day, 44% for 6-day, and 27% for 5-day routes. Often, people will choose shorter journeys to save money or to provide an extra challenge for themselves. However, in the long run, if a shorter route decreases your chance of success, it is much more affordable to add an extra day out of the gate rather than to travel to Tanzania a second time to try again. Furthermore, Kilimanjaro will be challenging enough as it is, you don’t need to make it harder on yourself. The route we recommend to most climbers is the 8-day Lemosho route for its excellent scenery, lower crowds, and 8-day duration to increase chances of success. Our second most popular route is the 9-day Northern Circuit. For more information and maps of the various passages up Kilimanjaro, see here. It is true, Kilimanjaro is not a technical mountain, but that does not mean it is not a physically demanding, strenuous climb. The altitude alone increases the difficulty of the journey. The best exercise to prepare for Mount Kilimanjaro is hiking because that is what you will be doing on the mountain. Other exercises such as running and weightlifting can help, but the bulk of training, if not all of your training, should be hiking. 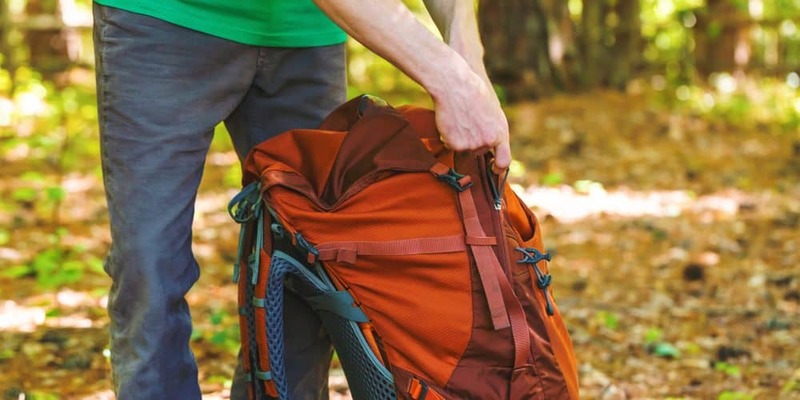 Adding a backpack with some weight in it on your outdoor excursions will help you train as well. If you don’t have a lot of experience hiking, start with some shorter jaunts and build up to longer ones. On Kilimanjaro, you will be hiking 4-6 hours a day and on summit day, 12-14 hours, so you want to condition yourself to handle this level of activity. Endurance is key, so train for duration rather than intensity. If you don’t live in a region rich with day hikes nearby, a stair master can provide an adequate substitute. It is ideal to start your training regimen for at least two months before your departure. At high levels of altitude, you dehydrate much quicker. Dehydration can increase your chances of headaches, Acute Mountain Sickness (AMS), overall fatigue, and even grouchiness, so drink plenty of water. For many climbers, it is quite common to get a slight headache because of the change in altitude. Drinking sufficient amounts of water can help stave off added discomfort associated with dehydration headaches. Water is collected from the nearby mountain streams and treated with Aquatabs water purification tablets. It is provided at campsites only, so we recommend carrying at least 3 liters of water to keep hydrated while you hike. It is also wise to drink at least a liter of water before and after you climb each day on the mountain. You may want to consider bringing both a water bladder and a water bottle. A water bladder, like a platypus, is nice because you can sip as you climb. However, as you near the summit, water bladders may freeze, so it is wise to have a backup water source. It is also good to bring electrolyte packets to add to your water bottle (not your water bladder, as this can cause mold). They add some flavor to your water when continuously drinking fluids becomes daunting and keep your electrolytes balanced. For our safety guidelines or more information on Acute Mountain Sickness signs, symptoms, and prevention, see here. Pole, pole is a phrase that you will often hear while climbing Mount Kilimanjaro. In Swahili, it means slowly, gently, softly, quietly, be calm, or take it easy. When taking on a challenge like Kilimanjaro, remember slow, and steady can mean the difference between successfully reaching the summit and turning back early. Acclimatizing to the low levels of oxygen in the mountains takes time, and it is essential to be gentle with your body so it can get used to the lack of oxygen. Don’t race to the next campsite – it is not helpful at all to be first. Take your time and enjoy the scenery. During the majority of the trek, you should be walking at a pace where you can carry on a conversation with others. On summit night, you will adopt a slow pace, taking a rest step in-between each step to conserve your energy. Rest-stepping is a technique utilized by professional mountaineers to help them reach the summits of mountains such as Everest and K2. It works. Energy for chatting summit night will be sparse, so remember breath in through the nose, out through the mouth, pole pole. While climbing Kilimanjaro, it is of the utmost importance to make sure you have the right gear. One of the essential items for your climb is a pair of waterproof boots that have been broken in on your long training hikes with the same style of socks you plan on wearing. Blisters are the enemy, as are cold feet, so an extra pair of warm socks and liners are key. Hand and neck protection is also necessary. Freezing fingers, toes and a cold neck, are no fun so make sure you bring extra warm gear to keep from getting cold. You can always peel off layers later (and you will during your descent). Also, make sure you have sun protection, including a sun hat, and sunscreen. It is easier to get sunburned in high elevations, and sunburn will increase discomfort levels and your propensity towards dehydration. There are lots of other items that you will want to bring along on your trek to the summit. For a detailed gear list, see here. At high altitude, people often lose their appetite. Even with the extreme levels of exertion, getting the calories in to keep you going can be a strangely challenging task. To make sure a decrease in appetite doesn’t make you run out of the fuel you need to make it to the top, we encourage you to bring some of your favorite, high-calorie snacks to munch on for your climb. We will feed you very well, but you may find a desire to eat some comfort snacks from home. The idea is to pack goodies you will eat even if you don’t have an appetite. Yes, junk food and candy are totally fine! Don’t worry, you will burn off every last calorie, and the treats help provide the energy you need for that extra push to make it to the top. You also want to pack things that don’t melt or freeze. Chocolate, nuts, hard candy and protein bars are some personal favorites we see our clients bring. M&M’s combined with mixed nuts is an excellent choice because M&M’s don’t tend to melt, whereas other types of chocolate may during the lower reaches of the climb. When going into the unknown, it is smart to set expectations. By reading as much material as you can about your trip, you learn what can happen on the mountain before it happens. In essence, it prepares the mind to handle possible challenges ahead of time thereby reducing the magnitude of stress or anxiety they would otherwise cause. We encourage everyone who is climbing Kilimanjaro to read people’s accounts of their trip to familiarize with what the days at elevation entail. This may be in the form of personal blogs, travel forum posts or YouTube videos. If you ask around, it is very likely you have a friend or friend of friends who have done it. Give them a call and ask about their experiences. You may find there are quite a number of similarities in what people have to say about their climbs. On the mountain, you will quickly find yourself in a routine. You wake up, eat breakfast, hike. You eat lunch, hike. You eat dinner, sleep. Getting adequate sleep is important on the mountain, but easier said than done. As the body is adjusting to the altitude while at the same time overcoming jet lag, you may find yourself waking up frequently throughout the night or not being able to sleep altogether. This is pretty common on the first few nights. It is a positive sign if your sleep quality improves as time passes. It means that you are recovering better from the daily activities and that you are acclimatizing too. There are some things you can do to make recovery easier. First, do not expend energy needlessly throughout the day. Take breaks when necessary. When your reach a campsite, spend some time lying down and relaxing in your tent. Change out of your trekking clothes and into your sleeping clothes. Eat dinner, even if you don’t feel like it. You need calories to replenish your energy. Despite what seems like an endless list of “recommended” Kilimanjaro companies, there are only a handful of world class operations on the mountain. While it is always good to ask people you know for their recommendations, you need to do your own research. Many companies out there do not have standardized procedures which means that the service they provide can be hit or miss. Therefore, established operators with a long-standing reputation for excellence are the only guide services you should consider. An experienced guide knows how to set the right pace for the group. He or she knows how to detect and treat altitude sickness. The guide understands how to improve your chances of reaching the summit, successfully and safely. And perhaps most importantly, good guides can coordinate a rescue in emergency situations because they have been trained in safety protocols. It is often tempting to choose the lowest price when making booking decisions. Resist this urge when it comes to climbing Kilimanjaro. Cheap or unknown companies cannot be relied upon for safe and quality services. A positive mental attitude can keep you going when fatigue and doubts arise. Believe in yourself. Remember, you don’t walk the path all at once, you walk it one step at a time and as long as you take the next step, you will reach the summit. It is easy to get overwhelmed and exhausted, but remember, you are on vacation. Enjoy yourself! Kick back and relax with your fellow climbers during the evenings and have fun. Summit day may seem daunting, but your mindset can change everything. If you find yourself plagued with doubt, remind yourself that you are tougher than you think and you can achieve anything. Many people tell us they did not think they would make it – BUT THEY DID ANYWAY – AND SO CAN YOU! Remember, summiting Mount Kilimanjaro is a challenging task but if you come prepared, take your time, and believe in yourself; you can make it to the top! 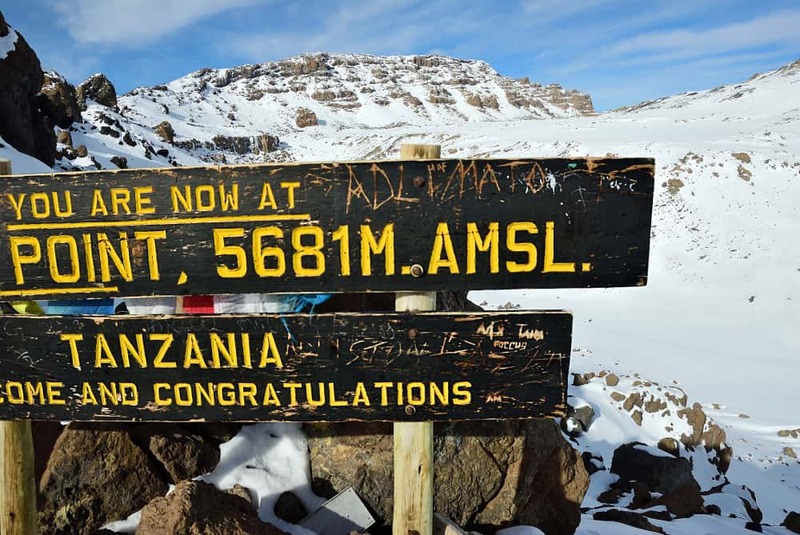 Comments Off on Are You Wearing the Right Shoe Size to Climb Kilimanjaro? Comments Off on I Booked a Kilimanjaro Climb. Now What? Can You Recommend a Backpack for Kilimanjaro? Comments Off on Can You Recommend a Backpack for Kilimanjaro?